The T-K4-IN-LP from Takagi is an Indoor Tankless Water Heater, Propane, 190K BTU. 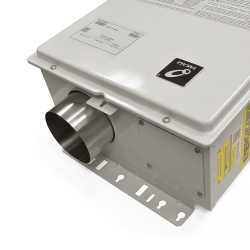 The all new Takagi T-K4-IN-LP has an impresive max GPM of 8.0GPM. Includes TK-RE02 Remote Temperature Controller. 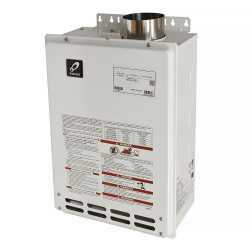 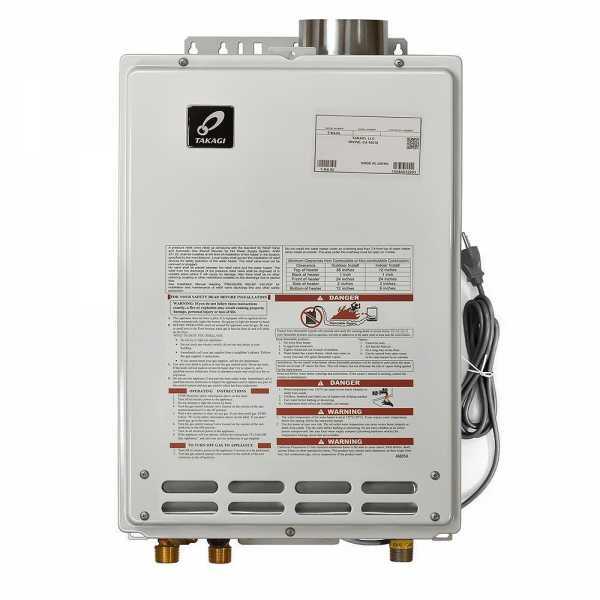 This Tankless Water Heater adds 1 more shower over the Takagi T-KJr2 at minimal increase in cost and is perfect for domestic hot water as well as hydronic/radiant heating applications in mid size residential homes or apartments with 2-3 bathrooms. 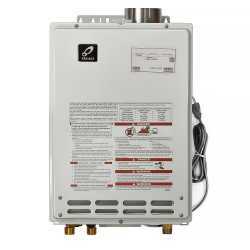 Takagi Tankless Water Heater T-K4-IN has four preset temperatures: 113F, 122F, 131F, 140F. 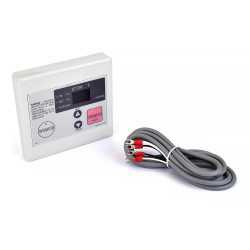 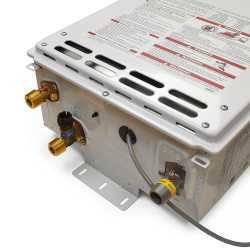 To convert the water heater from a standard vent system to a direct‐vent (or sealed combustion) system, use a TK-TV10 Direct‐Vent Conversion Kit. 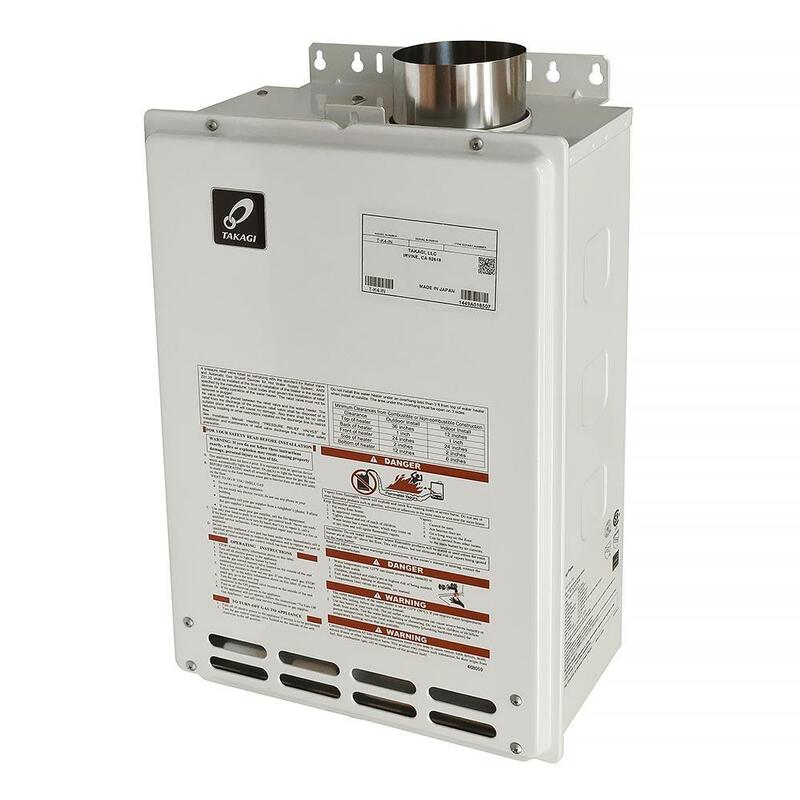 By default (indirect vent), the unit will use the intake air from the room where it is installed.